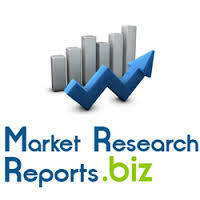 Wireless Car Chargers: Market Shares, Strategy, and Forecasts, Worldwide, 2013 to 2019. The 2013 study has 260 pages, 72 tables and figures. Worldwide markets are poised to achieve significant growth as wireless car charging pads permit users to charge the electric auto without disconnecting/reconnecting cables. Electrical vehicle charging can be done anywhere just by driving the car over the charger and positioning it correctly to pick up the current. Wireless charging in the automotive industry brings inductive power for EV cars.